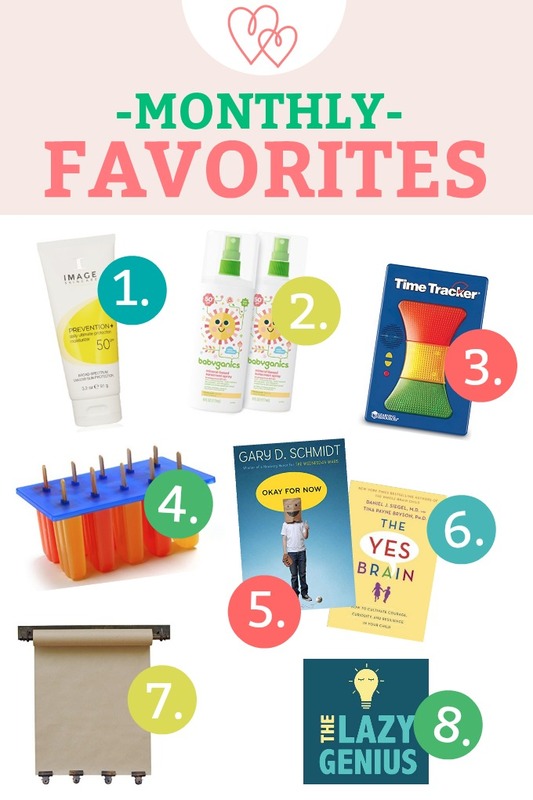 May Monthly Faves – All our favorites this month! 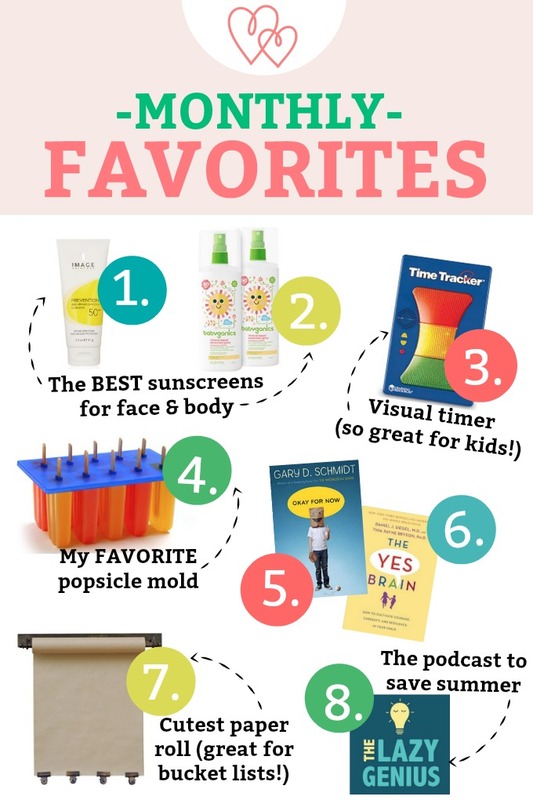 From the podcast that might save summer to the sunscreens we LOVE, to some home decor and quiet time faves, it’s a good list! For daily sunscreen with my makeup or an extra layer when I’m going outside, I use the Image Mineral sunscreen. It takes me 3+ months to use up a whole container, and it’s the BEST facial sunscreen I’ve tried. It goes on matte and blends in better than other mineral (zinc-containing) sunscreens. Plus, it layers beautifully under makeup and does double duty as a sunscreen and moisturizer. 2. The Body Sunscreen That’s Great for Kids & Grown-Ups! For body sunscreen for me and my kids, I use Babyganics spray sunscreen. I use the spray since it rubs in better than the squeeze bottle. BUT – I spray the sunscreen into my hands and then rub it on. I’ve found if you spray it right on your child’s back, etc., you don’t always get perfect coverage. I find it at Target or order from Amazon. If you have little ones who can’t tell time, or have really visual kids, or have a child who struggles with transitions, I LOVE this light-up timer. I got it years ago to use when my kids transitioned (way too early!) from naps to quiet time. I’ve pulled it out again recently so we can use it for summer. Another one I know I’ve recommended for, but I’ve gotten 20 messages this week asking for my favorite one. This is my favorite popsicles mold. It has 10 slots and a lid that holds the sticks in place (so there’s MUCH less chance of your sticks shifting around in the freezer). While you’re at it, you might want to pick up some popsicle sticks. If the popsicle mold isn’t your thing, you might love these that are basically like making homemade Otter Pops! 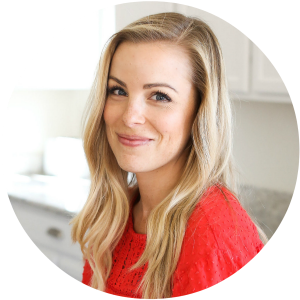 PS – Need a popsicle recipe? I’ve got lots! Related: Summer reading recommendations for you and your kids! I got this butcher paper roll for Christmas this year. It’s so much more affordable than others I’ve seen, and I’ve loved using it to practice lettering, but ALSO to make bucket lists. We put one together for spring break, and we’ve been cobbling together our summer bucket list this week to start checking things off next week. Summer Time – How you can break your time into categories to help you sort out your day and task lists. Summer Routine – striking a balance that works for you between spontaneity and routine. What do YOU love this month? I’m all ears! I love hearing your suggestions–shout them out below!